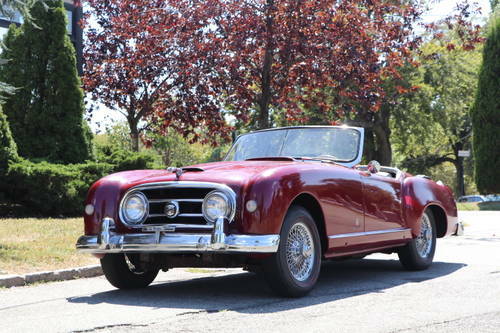 With only 150 Nash Cabriolets built in 1952, this is a very rare vehicle. The superb Pininfarina Coachwork is one of the finest of the period, and shows the cars true Italian heritage. Around 1963 the second owner, a well know Southern California car enthusiast, decided that the looks and the performance of this car did not match. 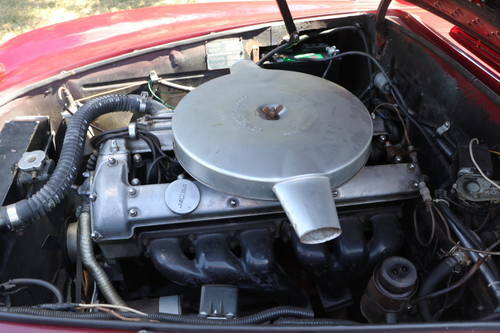 He therefore commissioned Hollywood Sportscars to install a 3.8 Jaguar engine with Moss gearbox. The chassis was also professionally modified to accept the full front and rear jaguar independent suspension components, thus the car now sports fully independent suspension front and rear with 4 wheel disc braking. These intuitive modifications have entirely transformed this car into a potent grand tourer with excellent road manners. 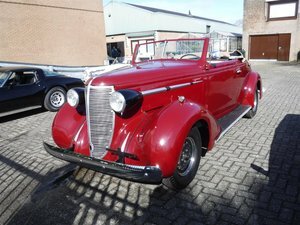 Research shows it to have the higher output 3.8 liter engine producing around 180 BHP, thus making it a true period hot rod, and a totally one of a kind motorcar. Years of dry indoor storage means the body still retains it's original shine and luster. There is of course the odd blemish, light dent and scuff as would be expected of a 64 year old car. However the overall statement this Nash makes, is that of a highly original car with perfect gaps, original paint, and straight panels. It has a commanding presence, with it's newly refinished interior with Connelly leather and Wilton wool carpets. There is also a new top and side curtains. 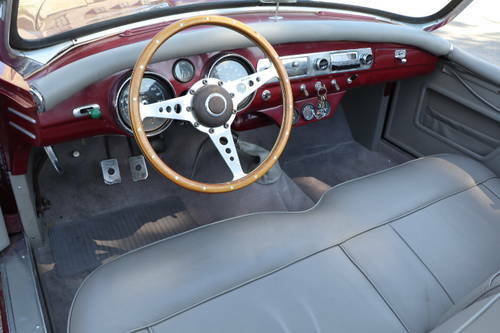 The fit and finish are exemplary, as you would expect form a car that has never been restored or taken apart. It is rare to see a low production alloy paneled car to be free of any kind of stress cracks.The chrome is also original and it too has retained a very deep shine and polish. 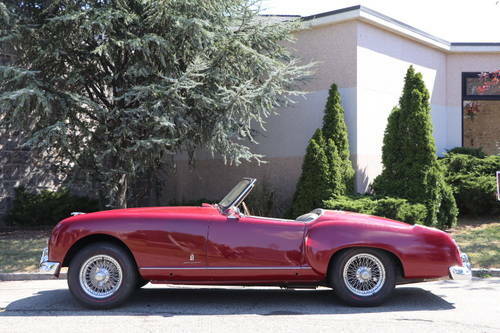 The car features a full matching set of Jaguar chrome wire wheels, and still has it's period Avon tires. The car benefits from having been a California car all of it's life and constant dry storage since new. The car has had one family owner from 1962 till 2014, when it was pulled out of it's slumber of many, many years. Recommissioning work included having the gas tank drained, cleaned repaired and refurbished, as well as new fuel lines, a new battery and a new muffler. The car starts, runs, and drives very well. 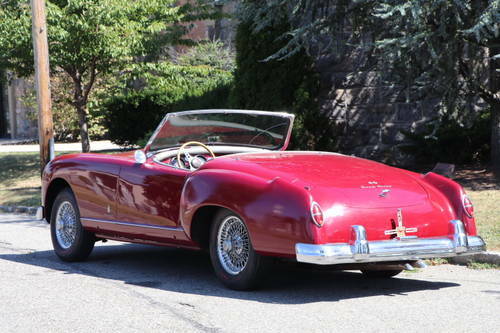 Here is a unique opportunity to acquire an "otherwise" unmolested Nash Healey which still sports it's Factory lacquer paint.